Tilt Shift photography is perfect for creating pictures of real-life scenes that are manipulated to look like model photographs. Thankfully you no longer need an expensive lens or a moderate level of expertise with Photoshop to make them thanks to Tilt Shift Maker. 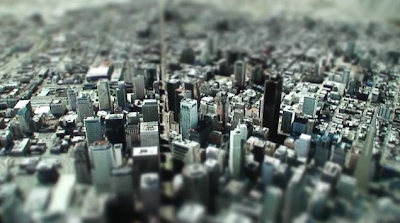 Tilt Shift Maker is a free service that allows you to upload photographs up to 4Mb in size or 4096 x 4096 resolution and set the size/area of blur to create the tilt shift effect. 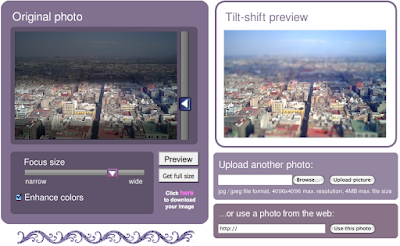 Once your happy with your creation simply click ‘download’ to get a full size tilt shift image back. Its a really neat service and completely free, you can use any photograph but oblique angles work well for tilt shift, as such Google Earth or Virtual Earth are perfect for trying out the effect.